A bipartisan group of senators reintroduce the CARERS Act to protect medical marijuana in the states, marijuana legalization is keeping legislators busy in the Northeast, New York GOP senators want more drug war to fight opioids, and more. Massachusetts Legal MJ Rewrite Bill Delayed By Errors, Concern at High Tax Rates . House Speaker Robert DeLeo (D-Winthrop) has postponed a vote on the legislature's rewrite of the marijuana legalization law approved by voters last fall after errors in the drafting of the bill and the high tax rate proposed -- 28% -- drew protests from Democratic lawmakers. "I think there are certain things that we have to clear up, so because of that, I think it's important that with a bill of this mag that we try to get it right or close to right this first time, so I'd rather do that than try to rush it through," DeLeo said, adding that there was a consensus among Democrats on the basics of the bill. New Jersey Legalization Bill Gets Hearing Monday . The Senate Judiciary Committee will hold a hearing Monday morning on Senate Bill 3195 , which legalizes the possession of small amounts of marijuana and sets up a system of taxed and regulated marijuana commerce. The Drug Policy Alliance has expressed "concern" that the bill "does not include essential components to create a fair and equitable marijuana market in New Jersey." Such legislation must include polices to repair past harms to minority communities, DPA said. Rhode Island Legalization Study Commission Bill Passes House . A bill that creates a legislative commission to study marijuana legalization -- instead of just legalizing it -- passed the House Wednesday night. House Bill 551A  now heads to the Senate. Regulate Rhode Island, the main advocacy group for legalization, has said it will not participate in the commission, which it describes as a delaying tactic. Bipartisan Bill to End Federal Prohibition of Medical Marijuana Reintroduced in US Senate . US Sens. 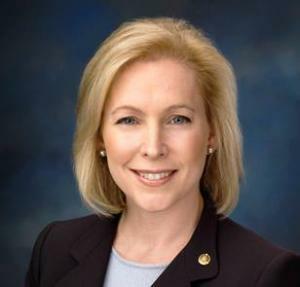 Rand Paul (R-KY), Corey Booker (D-NJ), and Kirsten Gillibrand (D-NY) reintroduced a bill Thursday that would end the federal prohibition of medical marijuana. Sens. Mike Lee (R-UT) and Lisa Murkowski (R-AK) also signed on to the legislation as original cosponsors. The Compassionate Access, Research Expansion, and Respect States (or CARERS) Act of 2017 would allow individuals and entities to possess, produce, and distribute medical marijuana if they are in compliance with state medical marijuana laws. It would also open up avenues to medical marijuana research and allow physicians employed by the Department of Veterans Affairs to recommend medical marijuana to veterans in states where it is legal. The bill also proposes excluding cannabidiol, a non-psychoactive cannabinoid found in marijuana, from the federal government's definition of "marijuana." Kentucky Lawsuit Challenges State's Medical Marijuana Ban . Three Kentuckians who say they have used marijuana to ease health problems have filed a lawsuit in state court charging that banning medical marijuana violates their constitutional privacy rights. The suit names as defendants Gov. Matt Bevin (R) and Attorney General Steve Beshear (D). Rhode Island Governor Proposes Medical Marijuana Expansion . Gov. Gina Raimondo (D) has proposed a budget amendment  that calls for "no less than six licensed compassion centers" and increased licensing fees that would generate $1.5 in revenues for the state's general fund. There are three existing dispensaries, which would each be allowed to open one more store front, plus the three additional ones proposed. New York Republicans Want More Drug War to Fight Opioids . A Republican Senate task force says that adding funding for addiction treatment is good, but that it's time to increase heroin penalties "to get dealers off the street." The senators are proposing charging dealers with murder if one of their customers dies and increasing penalties based on the weight of the drugs sold. Assembly Democrats rejected the idea, calling the approach one that's been "tried and failed." The Assembly killed a similar approach last year.